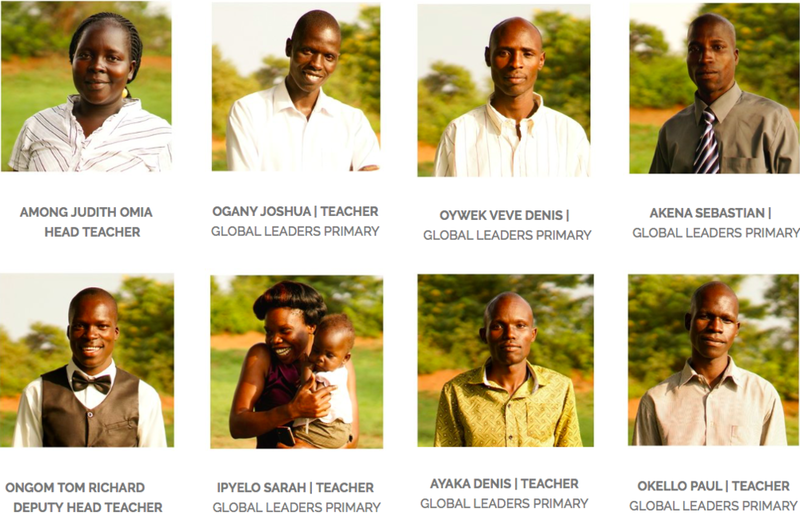 Collines grew up in Namasale, Northern Uganda where we have built our first model primary school, Global Leaders Primary. She Co-Founded Far Away Friends with her friend, Jayme, after years of dreaming of providing opportunities for children in her home village. Collines is an Invisible Children Legacy Scholar and graduate of Gulu University who toured the US twice as an Invisible Children Roadie and represents the less than 1% of women in Uganda who obtain a Bachelor's degree. She received her BA in International Development from Gulu University. Collines believes in being a part of a global community and having empathy for people all over the world. She is passionate about education, social justice, and the empowerment of women. Collines loves spending time with her family, traveling and has a talent for making friends with anyone. After watching a documentary about children's issues in Northern Uganda, Jayme was introduced to Collines who shared the same dreams for empowering women, educating children and igniting acts of global citizenship around the world. In 2012, Jayme was able to travel to Uganda to tour Collines' hometown of Namasale in Amolatar District, where she was able to experience first-hand the community's need for quality primary education. While in the US, Jayme's passion for working with children allows her to manage our Cross-Cultural Pen Pal Program and Cultural Engagement Workshops in elementary schools across Colorado. Jayme holds a BA in International Studies with a focus on Africa from the University of Colorado at Denver. Chris is our Director of US Operations at Far Away Friends . He fell in love with Uganda after his first trip in 2014 and joined the Far Away Friends team at its inception. Through his training and work in medicine, Chris has learned the value of global citizenship and helping everyone as your neighbor. Chris has over five years of professional experience in web and graphic design and has helped creatively convey our vision with the world. In between working on our brand, holding development meetings with our team or searching for flights to Uganda, Chris is most likely perfecting his drumming skills or writing for the Colorado Rapid's Burgundy Wave. Kaitlyn is an adventure enthusiast, an avid reader, and a self-identified foodie. She joined the Far Away Friends in 2015 as a Development Intern and focuses on making sure fundraisers and events are as successful as possible. She also works to develop clubs/programs in school and universities around Colorado. She is currently working toward a bachelor's degree in English Education and International Development at Colorado State University. Kaitlyn believes that education is every child's best opportunity to better both their communities and themselves. Jessie has a passion for education. She is at the University of Denver majoring in International studies and public policy, and hopes to work in education policy. Jessie was introduced to Far Away Friends through Lakewood High School’s student senate, who organized an annual fundraiser called ROAR week. The community and love built around Far Away Friends especially for the community of Lakewood channeled her passion and she was able to be a part of Far Away Friends first cultural immersion trip, only to return the next year as a trip leader. With a background in community organizing and fundraising Jessie works as the Regional Manager of Denver on coordinating events and working with Denver partnerships. Hannah was introduced to Far Away Friends in 2015 by Kaitlyn Phillips through a shared passion for early childhood education. She helped initiate and develop the Far Away Friends club at Colorado State University and joined the Far Away Friends team in 2017 as the Social Media Intern after falling in love with our dream of educational equity. She is currently a third year Human Development undergraduate at CSU and preschool teacher in Fort Collins with a passion for community outreach, aesthetically pleasing Instagram aesthetics, and The Beatles. After learning about Uganda and meeting the Far Away Friends team during Lakewood High School’s ROAR week, Siena was inspired to learn more about Far Away Friends. She traveled with them to Uganda on their first cultural-immersion trip in 2016, fell in love with the country, and traveled again during the summer of 2017. During her trip in 2017 she joined the team as the Regional Manager of Fort Collins. Using her passion for working with children and education/community development she works on fundraising and sharing FAF's vision in Northern Colorado. She is currently studying at Colorado State University for her Bachelors in Human Development and Family Studies.